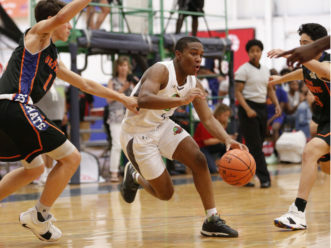 The inaugural Jr. NBA World Championship gets underway Tuesday, Aug. 7, at ESPN Wide World of Sports Complex at Walt Disney World Resort. 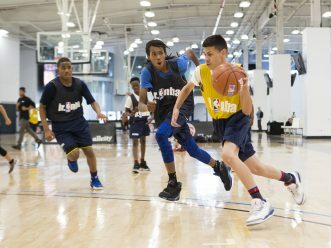 The six-day global, youth basketball tournament will showcase the top 14U boys and girls teams from the United States and around the world, including countries such as India, Australia, China and Mexico. The event brings together the top 32 teams (16 from the U.S. and 16 international) that advanced from regional competitions earlier this year. The teams will compete in round-robin and single elimination games, and the winners of the U.S. and international brackets will play in the World Championship games on Aug. 12. Three-time NBA champion Dwyane Wade, 2018 Hall of Fame inductee Grant Hill, eight-time NBA All-Star and Atlanta Hawks guard Vince Carter, two-time NBA All-Star and Detroit Pistons center Andre Drummond and Milwaukee Bucks center Brook Lopez will all participate in the event, which in addition to basketball games, will include life skills sessions, a community service playground build and a health and wellness session sponsored by Gatorade’s Sports Science Institute. Wade, along with the current and former NBA stars, will be joined by WNBA legends Tamika Catchings, Swin Cash and Jennifer Azzi. Media interested in covering the tournament should contact Mark Pozin, NBA Communications, (212) 407-8828, mpozin@nba.com.